A few weeks ago, the Evening Standard carried four full-page advertisements for a People’s Vote march, claiming to represent the views of young people – a move that would have cost the organisation an estimated £500,000. Having spent the summer offering deceitful misrepresentations to the press of the Brexit views held by Unite, Unison and Momentum members, in an effort to pervert the democratic structures of those organisations, the People’s Vote campaign now takes to the streets again. The protest urges opposition to a coming crisis, where MPs will decide whether to “make our country poorer”, “trash our vital public services” and “wreck the life chances of the young”. It’s a funny list of concerns for People’s Vote supporter Anna Soubry, the Tory who voted for the bedroom tax and to speed up the privatisation of the NHS. And for Nick Clegg, whose insistence on ruining young people’s life chances in 2010 is his political tombstone. And even for Chuka Umunna, who Young Labour rightly called out earlier in the year for hiring unpaid interns, and who sees himself as being “on the side of those who are doing well”. On the side of those who are doing well, indeed. These vociferous advocates of reversing a democratic vote lost a referendum in which they were strongly and vocally backed by the Prime Minister, much of the cabinet, the major organisations of the employing class and the Bank of England. In contrast, large swathes of the working class voted for Brexit – including in seven out of ten Labour constituencies. To be clear: the politics of xenophobia was central to the Leave campaign, and was a significant mobilising factor in bringing unprecedented numbers of voters out. But in the former industrial areas of England, the vote was also a way of striking back against social degradation and human neglect. Those who lost out the most from the past 40 years took the opportunity in 2016 to give the Establishment a well-earned kick in the teeth. Although this is apparently not obvious to the People’s Vote – an astroturf campaign with connections to that very Establishment that bestow it with a media presence that is disproportionate to its real importance – it is these hearts and minds that Labour must win over to form the next government. Any attempt by our party to overturn the referendum result will signal to millions that we take the concerns of the liberal middle classes more seriously than the social class we were founded to represent. Those in our party advocating another referendum should also be in no doubt: if successful, the political beneficiaries shall not be the Corbynite left nor the Blairite right. It will be UKIP and the far-right gangs coalescing around Tommy Robinson, who currently struggle in vain to caricature our unbroken party of 500,000 people as part of the furniture of the ruling class in working-class communities. The defeatism of this reply cannot be a real political solution to the problems we face in an increasingly polarised world. Both Britain and the European mainland is in a state of deep crisis. The far-right has proved highly adept at articulating working-class people’s concerns, and exploiting their legitimate anger towards the EU’s neoliberal turn and anti-worker political orientation. As a democratic socialist party, Labour must fill the vacuum. We must articulate the anxieties of millions of ordinary people and translate them into positive outcomes. If we are truly as ambitious as we say about reshaping our society – of bringing major industries such as the railways owned solely by the state and administered by working people, of scrapping PFIs and enabling the rapid renationalisation of the NHS, and of creating a voice for peace and diplomacy in the world – we must use the opportunity of Brexit to walk away from the increasingly reactionary EU. We can provide a beacon of political hope to build a truly social Europe, and to avoid any Greek-style strangulation of our progressive movement to build a socialist Britain. Little evidence seems to corroborate exhortations of Twitter’s (mostly pension-aged) #FBPE crowd that Britain’s youth are militantly opposed to Brexit. In fact, Professor Tim Bale’s research from the Party Members Project at QMU suggests that only around 31% of those aged between 18 and 24 back a second referendum. Income and wealth still appear to be the key differences between Remain and Leave voters, not age. A general election, now more than ever, offers genuine hope and a transfer of wealth and power from the richest to the majority of the population. What will not deliver that is a re-run of a tired campaign telling millions of working people that the status-quo is good enough for them – and offers no alternative to transform their lives. 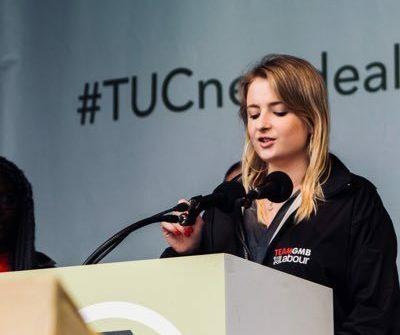 Lara McNeill is Labour's national executive committee youth representative and a student doctor.